Blas Catrenau & Enriqueta Kleinman dancing in Los Angeles, California, 2011. He started dancing tango in his early youth among other young men at the practice studio of Crisol and Verné. Later he attended several carnival balls organized at local clubs such as San Lorenzo de Almagro. Since then he never stopped dancing and attending the most important clubs of his time, like Club Unidos de Pompeya, Club Huracán, Club Social y Sportivo Buenos Aires, Club Social Rivadavia, Palacio Rivadavia, Club Almagro, Chacarita, Premier, Editorial Haines, etc. In his youth he often danced at the main tango bars of Buenos Aires, such as Picadilly, Sans Souci, Montecarlo, and many more. At the early ‘90s, he started organizing “milongas” himself. From 2003 to 2009 he leaded “La Milongüita”, one of the most famous “milongas” in Buenos Aires. In 2002 he won the First Metropolitan Tango Championship in Buenos Aires. In 2003 he obtained the Tango Teacher degree released by Buenos Aires City Government. He was then authorized to teach at the Centro Educativo del Tango de Buenos Aires (CETBA), created by Masters and Dancers Gloria and Rodolfo DINZEL. 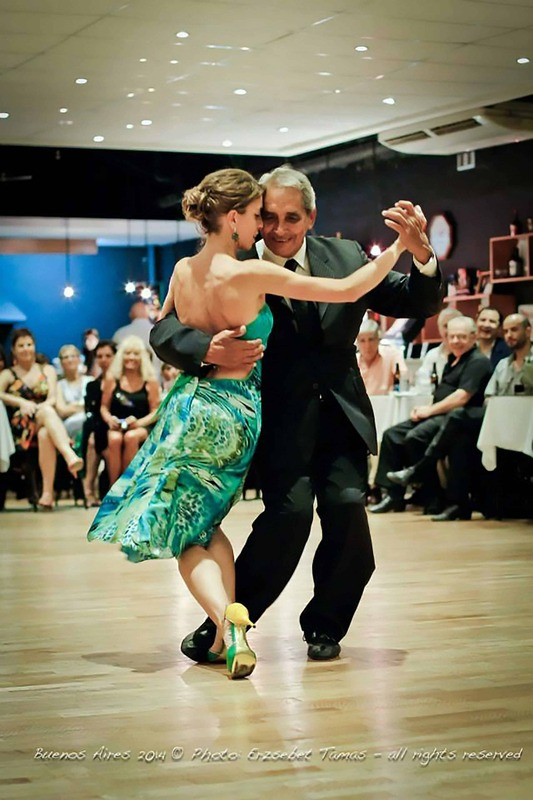 His passion for dancing as well as the harmony he shares with his partners, and the gracefulness of his movements, capture and celebrate the essence of traditional TANGO. In 2002, he won first Metropolitan Tango Championship Hall of the City of Buenos Aires. In 2003 Professor Tango was declared by the Government of the City of Buenos Aires which enabled him to teach in the Education Center of Buenos Aires Tango (CETBA) created by the teachers and dancers Gloria and Rodolfo DINZEL.